Happy Valentines Day! Say hello to the perfect spring/summer blush and highlight! And to another product that gives you a rosy and healthy, positively glowing look that is perfect for today's occasion. Yes, you've heard that right! For a few weeks now this product had quickly become one of my favorites. Sorry to my MSF Soft and Gentle which I have particularly bought as a highlight but Blonde is better since she doubles up as a blush. Let me just point out one teeny tiny bit of disappointment on this product before I start raving about it. Look what happened to this product! This is how the product was when I opened it. It's a good think that MAC has a protective plastic shield between the actual product and the packaging or else this would've shatter the entire thing. It seems like I'm very unlucky on MAC products when it comes to their packaging. My first mineralized blush, Dainty, which I ordered from Macy's also had a defective packaging. The acrylic cover with the MAC logo and product name came off when I opened the blush. I had to glue the acrylic cover back into the black plastic lid. For the Blonde I used lash adhesive in order to glue it back into place. Now that I have that part covered, I want to tell you how amazing I feel about this product. It's lightweight and highly pigmented. Also, compared to the Soft & Gentle wherein you should be a little careful on the application because of the shimmers, you can be a little generous with Blonde since she's not all that shimmery. It has a gradient of soft peach to pink. In using this as a blush, most of the time I use only the right part which is the pink side, however mixing the shades have a very nice effect too and has a very subtle difference than only using the pink side. 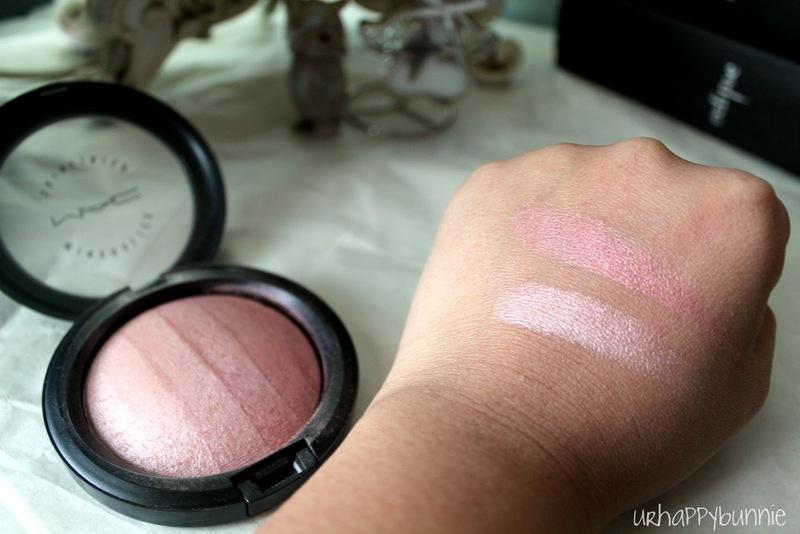 Sometimes I would even wear this on top of the NYX Cream Blush for a glowy, blushing finish. For the peach side, I mostly use this to highlight the bridge of my nose, the temples and the Cupid's bow. The overall finish is really pretty: subtle and natural. 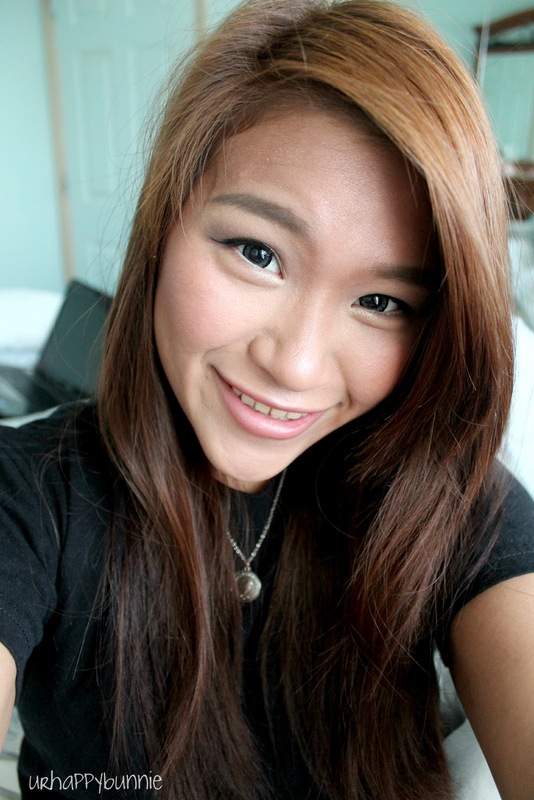 In the photo below I used the Blonde as both blush and highlight. I applied it on my cheeks, cheekbones, bridge of my nose and Cupid's bow. I'm a big lover of highlighting so I'm really happy with this product. Heck, I think I'll end up collecting the MSFs now that I'm so impressed with Blonde and Soft & Gentle. I'm looking forward to purchasing the Redhead which is currently sold out in the MAC Cosmetics website and I guess I'll have to hunt it down. I'm not big on MAC, to be honest. But for their pricing, they make decent products. 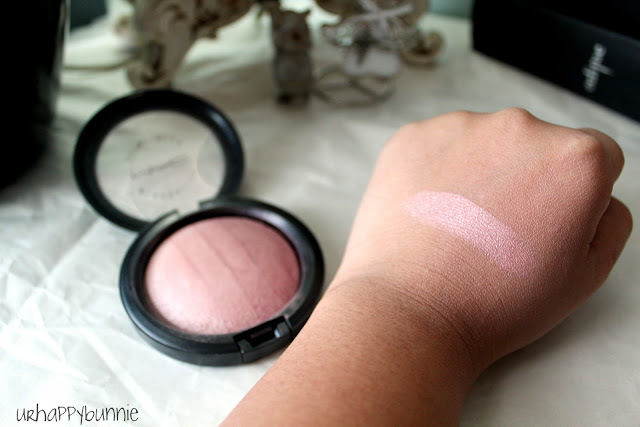 Although, saying that, one of the 2 MAC products that I like, is the Mineralised Skin Finish. It sits on the skin beautifully. 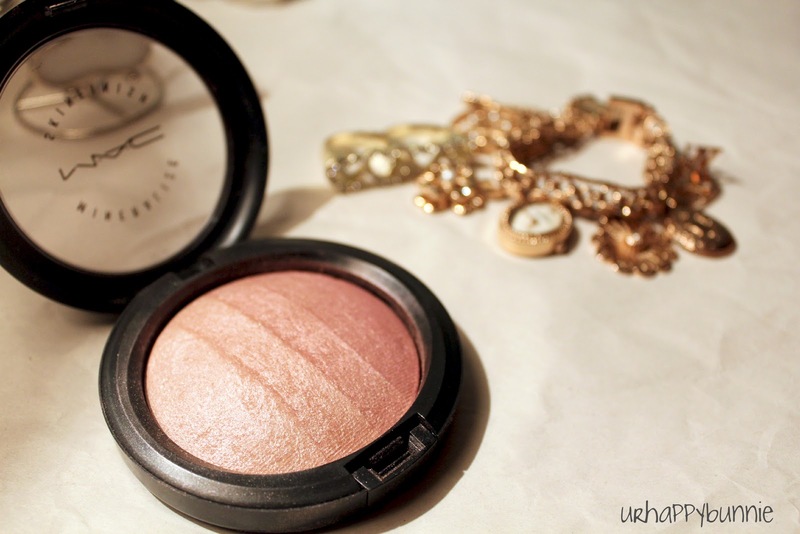 And that's not just the highlight, but also the finishing powder. Check out nortdstrom.com if you want redhead. That's where I ordered it and last time I checked it was still in stock. I love redhead MSF! It's a lovely colour on you. MAC's a bit too pricey for me, but I love to see what's out there for my big splurges! Lovely product, I'm glad it didn't break! I would take it back and ask for another one! 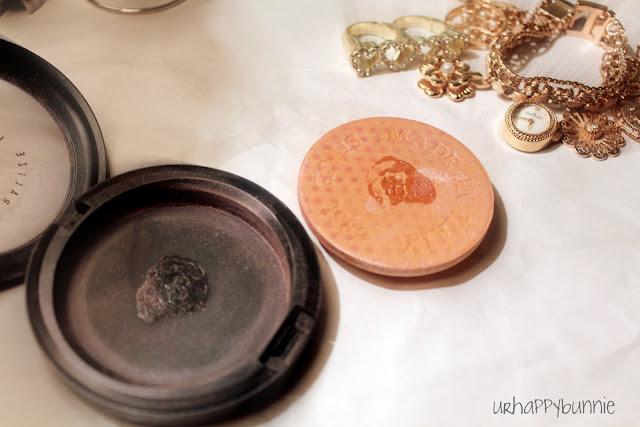 Love MAC Mineralize! Looks pretty and natural on you!! I would def take it back and get a new one, spend too much for it to look like that in the packaging!! Great info my dear. You have a new follower. Great review, Love the colour looks good on you.